His essay is relatively short but presents some examples and makes a strong case so please visit trainingzone.co.uk to read it. Bersin closes with this positive development. A senior leadership development director from a large U.S. banking institution told me that in the last recession the bank cut leadership development entirely. During the ensuing business upturn, the organisation had to start all over – rebuilding the programme, hiring people, and re-developing content. This time, he told me, "We have learned our lesson. Leadership development programmes take years to build. We are not going to make the mistakes of the past. This time around, we are maintaining our investment and continuing to evolve our programme even today." 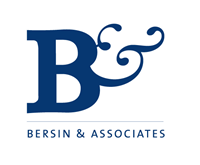 Tagged with Bersin & Associates, leadership development, training. Cutting Training, Sales and Marketing, and 'development' are the biggest mistakes most companies make.